LBL offers a free shuttle service from various locations up the hill to the main security gate on Cyclotron Road, but only on weekdays. You will need a visitor pass to board the shuttle and the driver may ask to see photo ID. 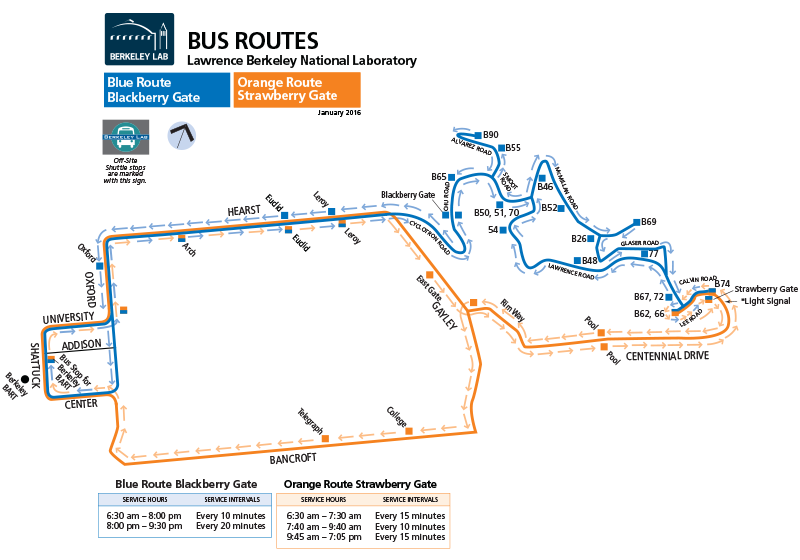 The easiest way to catch the shuttle is to head to downtown Berkeley near the corner of Shattuck Ave and Addison St. (in front of The Sandwich Zone). From here catch the Blue Uphill line and ride to Stop 65 past the security gate. The driver can provide assistance, however this is the stop after the gate where the shuttle pulls into a small loop. Note: For security reasons, Shyh Wang Hall is locked on the weekends. 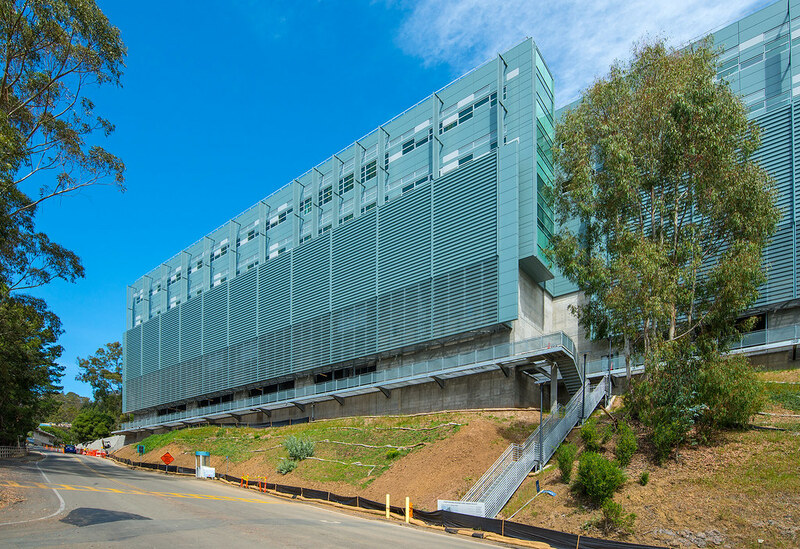 A member of the Berkeley group will therefore be posted at the front door of the building to let collaborators inside 1/2-hour before the morning sessions, and 1/2-hour before the afternoon sessions. If you arrive outside of these times and no one is posted at the door, call someone to let you in. Directly across from the bus stop is Perlmutter Road. This will take you past some picnic tables. Go slightly to your left then go right into the main doors. Take the elevator or stairs up one flight to the 4th floor. Conference room 4102 is directly behind conference room 4101, which is visible from the landing. For those staying after the primary meeting we will have office space in LeConte Hall at UCB. Office space is available in Rooms 316, 351, and 321. Directions from Downtown Berkeley to LeConte are given in the map below. It is a short walk onto campus. In general walk towards the large clock tower and directly east from it will be the side of LeConte Hall.